✓ Filter lasts up to 6 to 9 months and features easy twist-off design. ✓ Reduces 77 contaminants while retaining beneficial minerals for optimal hydration. Replacement 2-Stage filters for the Aquasana Under Countertop (AQ5200) are engineered for ease. No need to disconnect hoses or water lines. Eco-friendly filter housing easily twists off so replacing your filter is a snap! With 12 times the capacity of your average drip filter, the Aquasana lasts between 6-9 months with normal household usage. Fresh, clean water for longer. - Activated Carbon Reduces organic chemicals like herbicides, pesticides, VOCs and MTBE. - Catalytic Carbon Targets chlorine and chloramines. 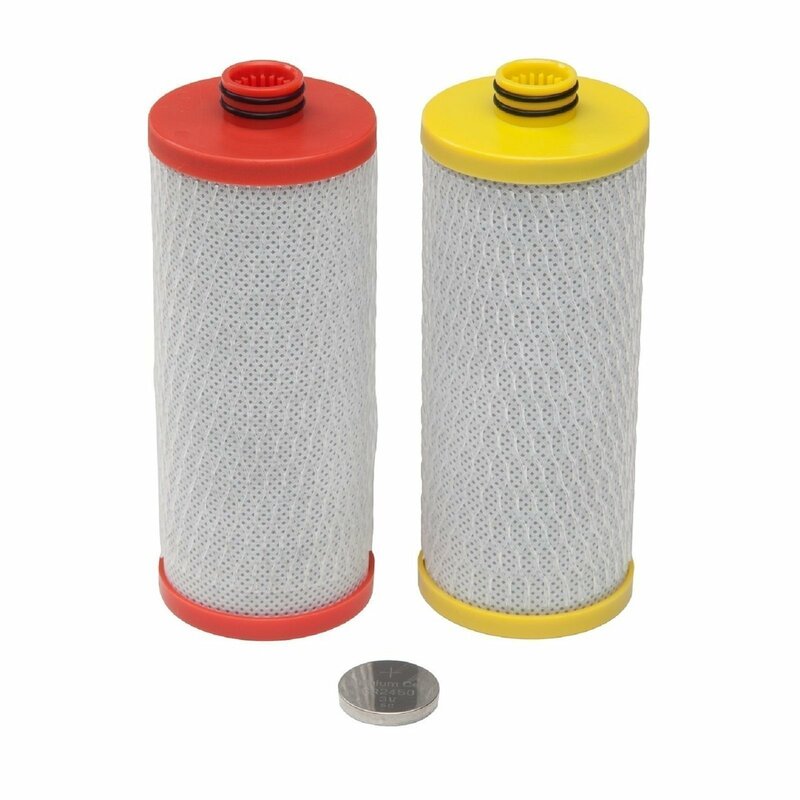 - Ion-ExchangeFilters heavy metals like lead and mercury. - Absolute Sub-Micron Mechanical Filtration Captures asbestos and chlorine resistant cysts like cryptosporidium and giardia.